With the breeding season behind them for another year the choughs decided it was time for some well-earned R&R. In the video below it is obvious to pick out the pairs who, after months of nest attendance and chick feeding, can now focus on themselves. Handy from the observers point of view as confirmation of old and new pairings was achievable. Pyrrho, for example, had been involved with a young male (and his sister!) although two seasons of nest-building had got her nowhere. Now she is preening and foraging with Duke. Lets hope she will have more success next year. Pyrrho evidently has a new ‘man’ in her life -Duke. Photo by Liz Corry. Having more time on their hands allows them to explore the Island. With the run of good weather making winter still feel like a distant memory, the choughs have been visiting their favourite spots as well as discovering some new ones. Well at least new to our knowledge. Les Landes is their go to for guaranteed sun, sea, and soil invertebrates. A bounty of leatherjackets and dung beetles has meant that half the group have not bothered to return to Sorel for supplemental feed. We may even have a new roost site or two on the north-west coast. 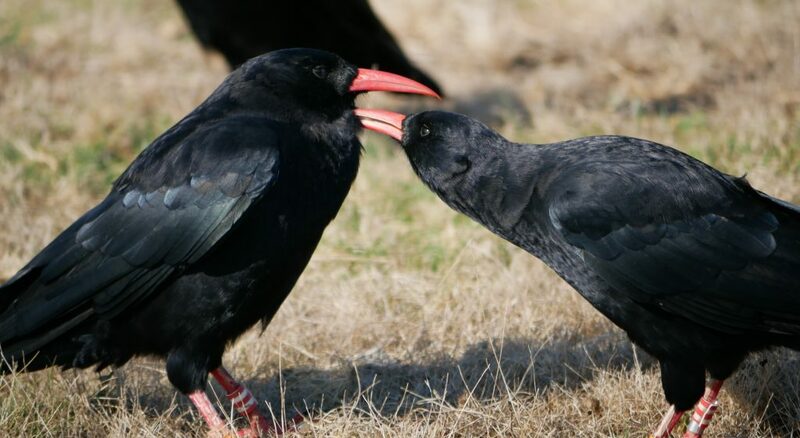 Crows and choughs foraging together on the sidelines. Photo by Liz Corry. 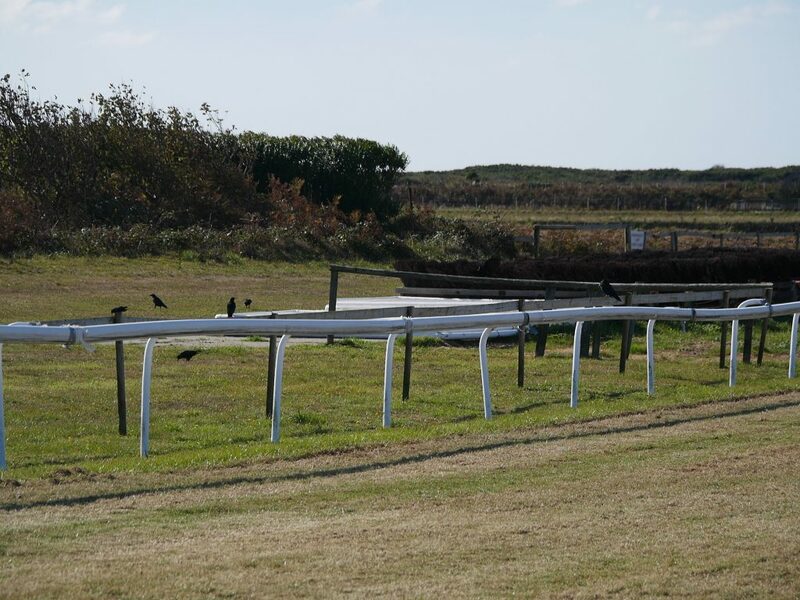 Les Landes Racecourse gets 5 stars from the choughs on Trip Advisor. Photo by Liz Corry. 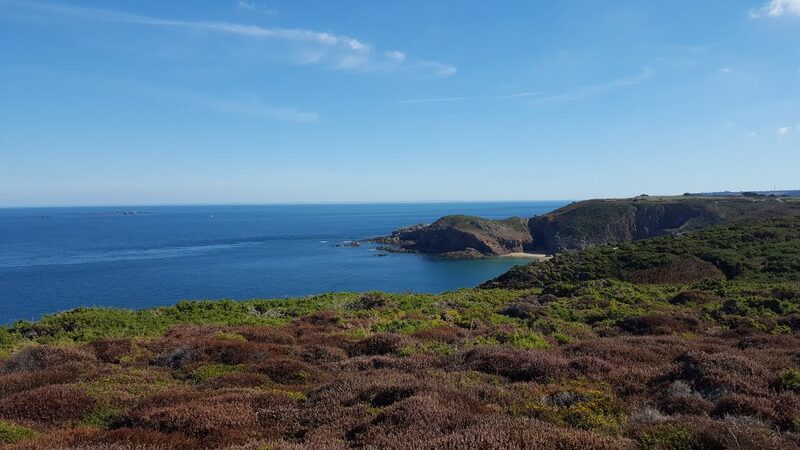 A record number of 31 choughs were spotted this month at Les Landes (please let us know if you think you have seen more). On the ground they are difficult to count when mixed in with crows. Once in the air they can reach heights the crows can’t, or at least can’t be bothered to. There are not many places in the British Isles where you can see 31 choughs circling on the thermals. Choughs rising high on the thermals above Les Landes. 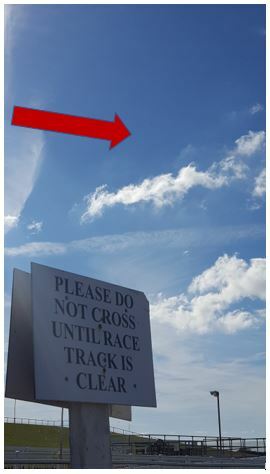 Trust the red arrow or enlarge the photo and look for black dots. Photo by Liz Corry. Two were at Petit Plémont at the same time as the Les Landes group leaving 13 unaccounted for. 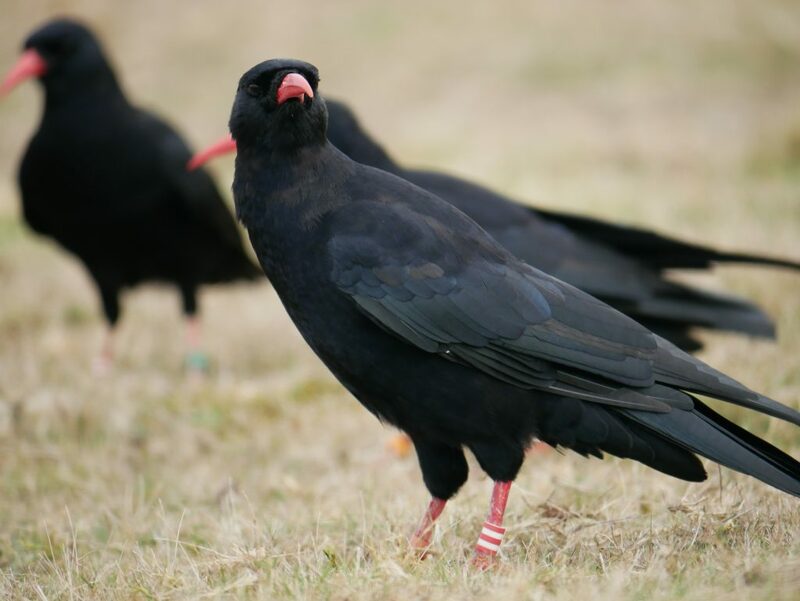 Confirmation of all 46 choughs alive and well has not been possible this month. This is not necessarily a bad thing. It marks a turning point in the project. The birds are finding new areas to forage, possibly new territories. Supplemental food is, at present time, not essential for every individual. The crucial thing is that it is there waiting at Sorel in case they need it. View of Petit Plémont headland from Grosnez. Photo by Liz Corry. The choughs have been trying out different designs of food-hoppers over the past month. Up until now we have used either traditional ceramic dishes or guttering (yes guttering) to hold the supplemental feed. 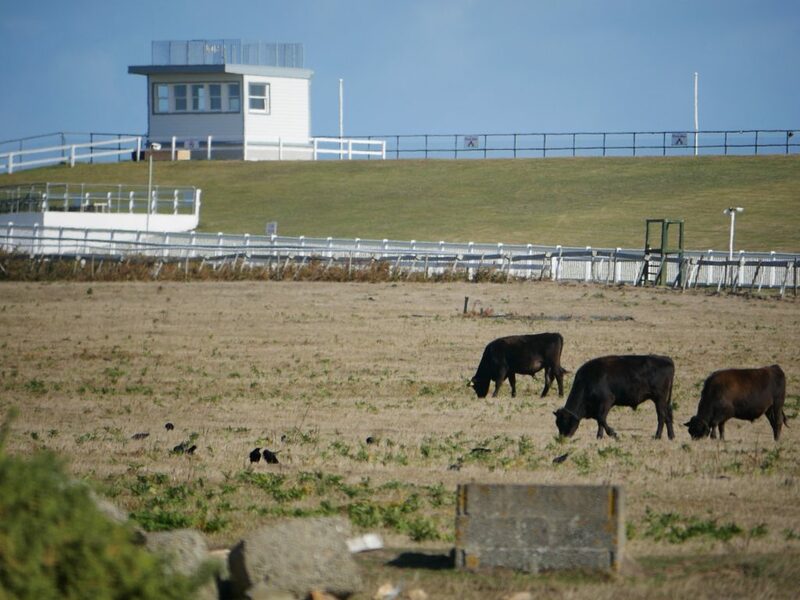 Whilst the latter was an improvement, in terms of reducing competition between the choughs, it still had drawbacks. A new design is needed to address the ‘3 R’s of Sorel’: rain, rodents, and ruddy magpies. Don’t get me wrong, I have nothing against magpies per se. The problem is that they need to understand the concept of sharing equally. Taking advantage of a choughs’ slender bill to design a magpie proof feeder. Photo by Liz Corry. We can take advantage of the choughs’ slender bill to get around the magpie problem. 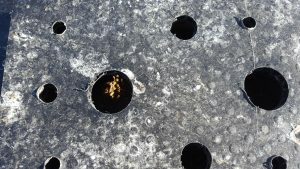 Holes of varying sizes were drilled into boxes filled with pellet and mealworms then filmed to see which were used by the choughs. The design also needs to account for the length of the bill. Optimal sward height for foraging choughs is 5cm. The feeders need to be slightly less than this. Understandably the larger holes are favoured as they allow quick easy access. They can use the smaller holes evident by the empty boxes the next day. The magpies can’t. Images of perplexed magpies were caught on camera. 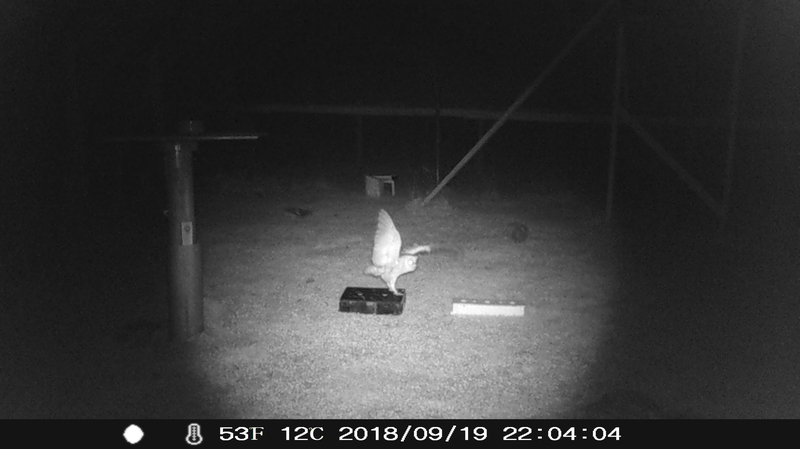 Camera trap images have shown the magpie-proof designs working so far. Photo taken on Apeman camera trap. To date we have no images or videos of rodents trying their luck. If they do have a go there are simple solutions to stop them. Placing feeders off the ground using materials they cannot grip prevents rodents from climbing onto the boxes. Plumbing pipes come in handy for that sort of thing…and gives a shopper in a DIY store a whole new perspective on things. 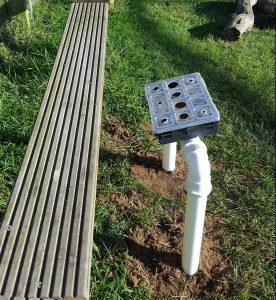 Prototype chough feeder raised off the ground to stop rodent access. Photo by Liz Corry. A timed-release hopper would be advantageous from a staffing point of view; it wouldn’t require someone going up every day of the year. 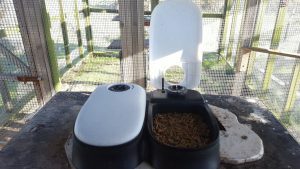 An automated pet feeder was a hit with the choughs…and magpies! Photo by Liz Corry. The choughs took to a model of cat feeder straight away. Camera trap footage shows them waiting around for the lids to open. It also shows them going back at dawn to check in case it magically refilled overnight. A combination of the above designs would be most efficient. Especially one that could cope with the coastal weather. Oh and barn owls…. The Inter-Island Environment Meeting (IIEM) was held in Jersey this year. The two-day event took place at Crabbé on the 20th and 21st with optional field trips around the north coast. A field trip to Sorel on the Thursday afternoon allowed the delegates to see first-hand the work undertaken by Birds On The Edge. Annoyingly most of the choughs were having far too much fun over at Les Landes. This year’s meeting theme was partnerships and their importance in the success (or failure) of conservation work. 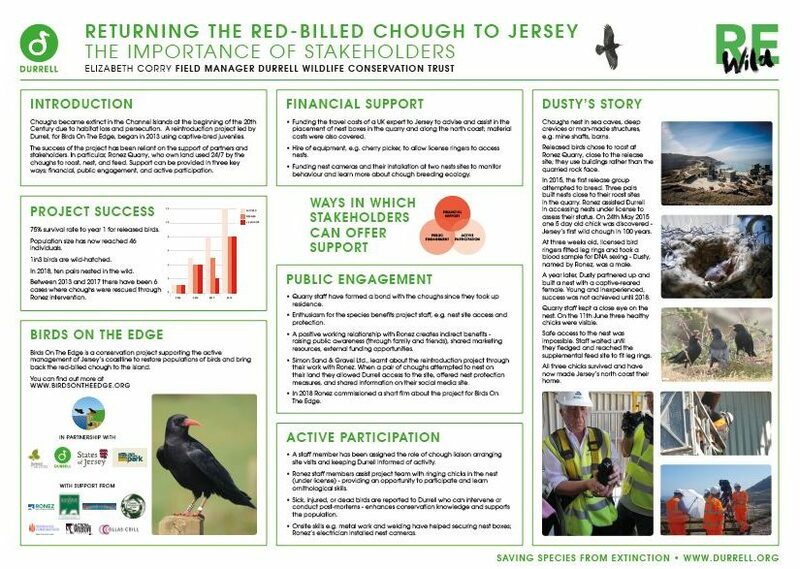 A poster was presented showing how stakeholders, such as Ronez Quarry, have played a role in the chough reintroduction. All the presentations demonstrated just how well effective partnerships can benefit conservation work both on land and sea. 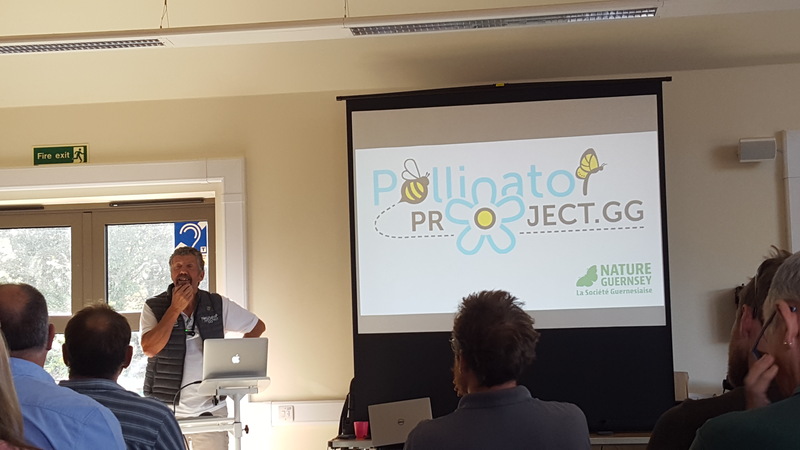 With talks about turning the tide on plastic waste, monitoring human disturbance at the Écréhous, and how Guernsey’s gardens are providing a lifeline for pollinators. There was even a talk on Montserrat by the UK Overseas Territories As someone who has lived and worked in Montserrat it was a nice surprise. It was also nice to see some familiar faces in the video shown by Alderney Wildlife Trust highlighting the benefits of a good volunteer programme. Two of those volunteers were past chough project students! 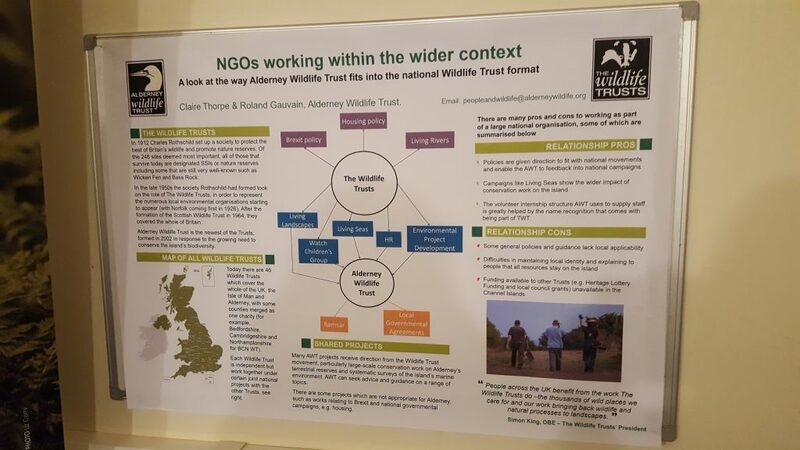 Poster presentation by Alderney Wildlife Trust. Photo by Liz Corry. Glyn Young missed out on the IIEM. Don’t feel sorry for him. He was attending the European Association of Zoos and Aquaria (EAZA) annual conference in Athens. Several of Jersey Zoo’s staff travelled to Attica Zoological Park for the four-day conference. Glyn gave a presentation on the chough reintroduction and the successes to date. Thank you for all those who suggested names for this year’s chicks. Some suggestions have already been used, sadly on birds no longer with us. We have gone with Bumble and Bee for one brother and sister clutch. Nothing to do with a secret love of Transformer toys,rather their black and yellow leg rings. We also liked the suggestion giving recognition to Jersey’s Lily Langtry and have gone with Lily and Lotte (her middle name was Charlotte) for the two unnamed sisters.